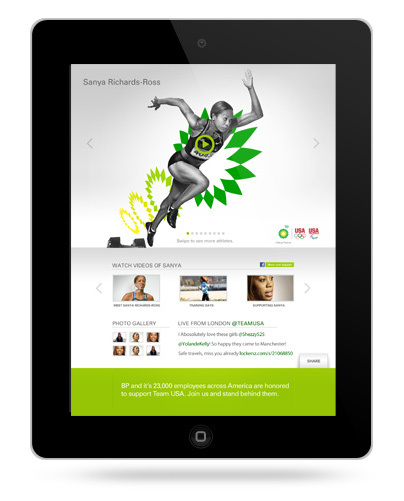 During the London Olympics, BP was proud to support nine athletes fighting for the gold. Create a 360-campaign — digital, print, broadcast, mobile, events and more to show support. To celebrate and support the team, we created 18 spots— two for each athlete, split into two concepts; one telling the athlete’s story, one telling the story of the people that stood behind them. 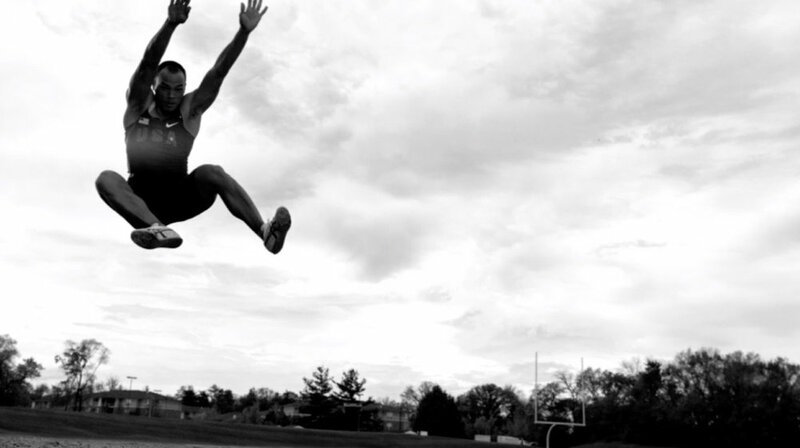 As the athletes progressed, the spots were curated and released for broadcast, YouTube, and on ESPN.com. To supplement, we created iPad and iPhone apps where users could watch extra content, learn about the athletes and follow their performances. We also created interactive ad sections for magazine apps including Time and ESPN.